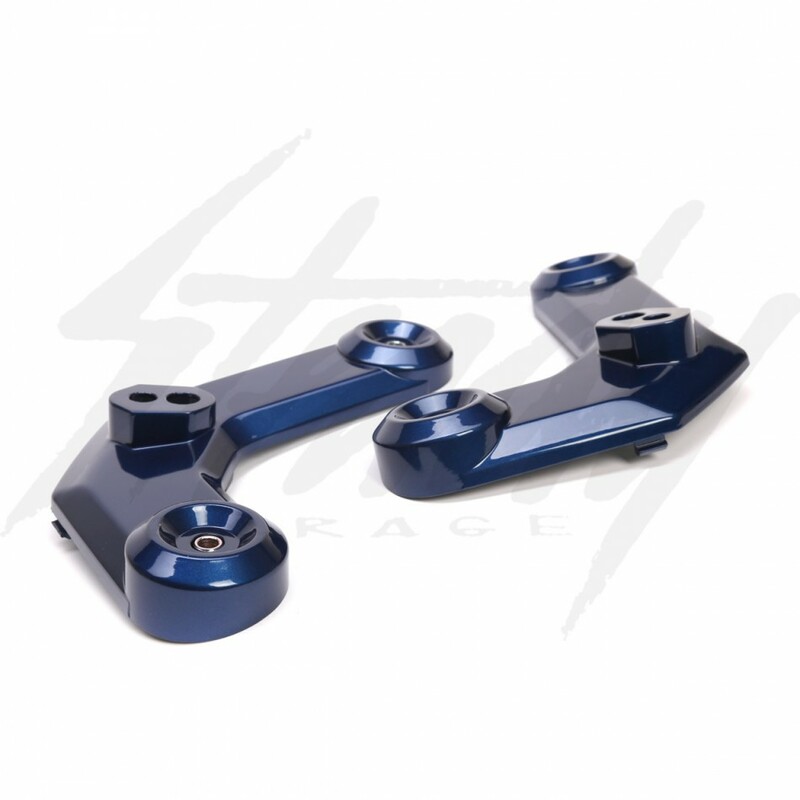 Those with Blue Metallic Honda Grom 125's, will want these! OEM Honda TDM (Thailand Domestic Market) front turn signal boomerang brackets that will match the rest of your body panels! We could all agree that the Grom will look 10x better if it's all in one color. Look no further, the missing link! These are genuine OEM Honda parts! NOTE: Turn signal stalk is not the same size and shape as the USDM boomerangs. Existing OEM turn signals or aftermarket parts made specifically for the USDM boomerangs will no longer fit. Transform your bike to one color! Easy and fun to install. 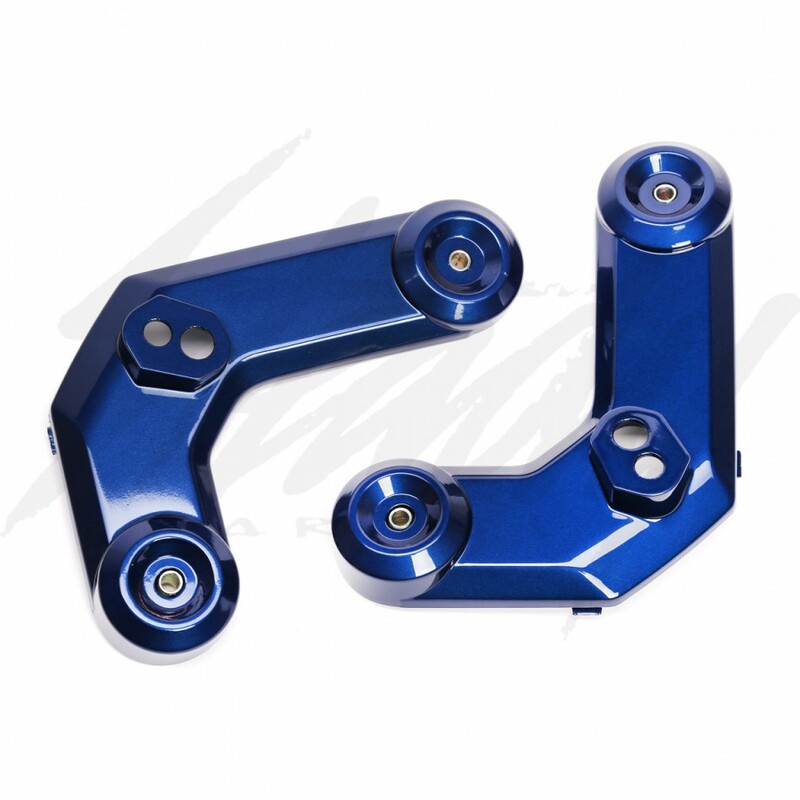 This 2pc front turn signal boomerang set will transfer your Grom!